Here is a book that I think I would like to read. 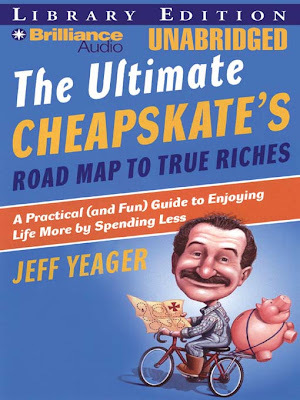 It is the ultimate cheapskate's road map to true riches: A practical (and fun) guide to enjoying life more by spending less. Probably a great lesson for all, since everyone these days has to tighten their belts. Even when I don't want to spend money, I still want nice things! I want a nice home, a nice car etc. I think that is only normal for most people. I want these things I guess I just don't want to spend the money on them sometimes (I guess that is me being cheap instead of frugal!). Sometimes the best things in life are really free!